Uncategorized | Web 2.Oh. . .really? If you’d like to return, update your bookmarks. Might help to resubscribe to the RSS feed too. It’s supposed to convert automatically, but you never know. See you on the other side. . . .
Today the Interactive Advertising Bureau sent out a press release crowing about the continued growth of online advertising. Short version: Interactive ad revenue up 15 percent for first half of 2008 vs. first half of 2007. Total revenues topped $11 billion for the first six months of ’08. It brings me no joy to observe this continued bloodbath in the newsrooms of America. But the sad litany above is clearly related to the continued rise in digital advertising revenues. Instead of laying off people from newspapers and hiding in the basement, leaders who are dedicated to the future of news just have to quit snorting sawdust and let the newspapers go. Not the news, but the newspapers. Another item linked to in I WANT MEDIA made the point: Overextended media baron Barry Diller, head of the recently disassembled IAC, talked to the Wall Street Journal. WSJ: Newspapers are suffering as advertising moves online. You are a director of Washington Post Co. Do you think newspaper companies will survive? Mr. Diller: If they call themselves newspaper companies they are probably going to be toast. It will depend absolutely on what the product is. We’re still at such an early period to talk about the death of journalism. Which is to say: There’s hope, but only if you drop the paper–and keep the news. Two weeks ago I published an entry about the list of finalists of the 2008 Online Journalism Awards. I was impressed overall with the quality of the entries, and emerged with a sense of hope about the future of digital journalism [should a business model ever be discovered to fund it]. But at the bottom of the entry I included some of the Worst Practices in Digital Journalism the winners also exhibited. A few days later an e-mailer suggested, correctly, that I’d “buried the lede,” as we say in newsrooms. This is to say my list of worst practices got lost at the end of an entry about good practices. So: I’ve reposted the Worst Practices part here. Enjoy. Or not. Segregating “video” from other parts of a package, or even labeling it as video. Media of all types should be integrated into a whole package. Calling out “video” rings of an anachronistic brag: “Hey, lookit, we did some video, too!” I demand this practice be stopped immediately. Layering a show-offey Flash entry page above the package. Flash pages waste time, bandwidth and user patience. They add no value. They impress nobody other than their own designers. Stop it, I tell you, stop it! Placing the whole 3-part, 120-inch wordroll at the center of a digital package. Long blocks of text work okay on paper. They deliver a lousy experience online. 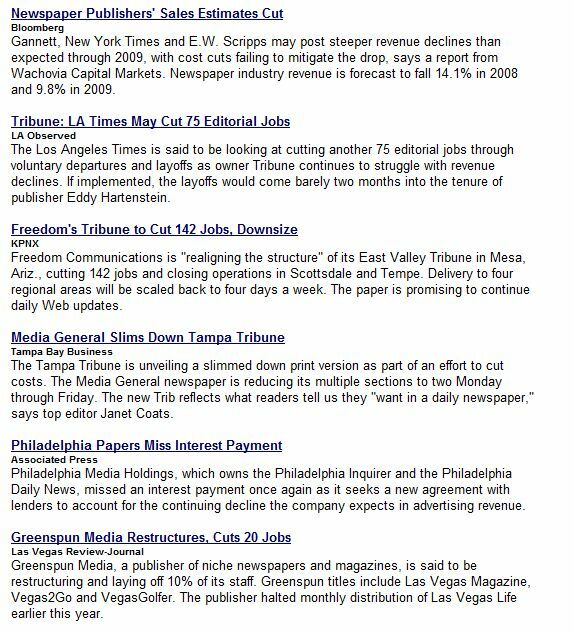 Keeping those wayback-style reports at the center of digital packages tells me the newspaper folks are still in control of the website, fighting the future, defending the interests of their print reporters and slowing the new organization’s transition to a financially stable future. In fact, how about this: Instead of sticking “videos” in the sidebar of an article, how about putting “articles” in the sidebar of a visually-driven presentation. [“Hey, lookit, we wrote an article about this too!”] Editors who take offense at that suggested inversion, I submit, may want to consider that next buyout offer very seriously. I regularly choose a story I encounter online that I find so valuable it’s actually worth printing it out on paper for later reading. This time it’s the remarkably thoroughgoing and fascinating “How Obama Really Did It,” appearing in MIT’s Technology Review. A remarkable piece of near-real-time history [six, count ’em, six screens long], the piece describes how and who pulled off Barack Obama’s social networking strategy. One favorite detail: The forgotten chapter about how McCain, during his 2000 campaign, was precocious in his use of the Internet, raising $1 million online before it was cool. Author David Talbot then goes on to detail his adventures trying to deal with John [“I’m getting more familiar with computers”] McCain’s current website. I’m delighted to report that this very blog . . .nearly made Mario Sundar’s list of Top 10 blogs. Oh, it didn’t make the Top 10, but it was nice to be mentioned. I hereby pledge to try really really hard to post [nearly] every [week]day [when my day job permits] [and my family appears in no imminent danger of forgetting what I look like entirely]. As you might expect, Sundar’s Top 10 includes a few worthies that likely don’t appear on most folks’ RSS dashboards: Jason Kottke’s 10-year-old [!] highbrow take on liberal arts and Harvard Business Online’s Conversation Starter, for instance. He also includes the indispensible Boom Town by Kara [“I only do digital”] Swisher of the Wall Street Journal. Among my few brushes with fame I include my memorable visit to Hoover Dam with Kara way back in our callow youth at The Washington Post. If I recall, she purchased a swell pair of cowboy boots. See the ugly row of badges on the right rail of this blog? They link to blog directories that, in theory, aggregate the “best” blogs and present their content in a way that organizes the vast, incoherent blogosphere for easy consumption. Which brings me to blogs.com [which must be one of the most valuable URLs in Electroland]. The site has been relaunched by its owners, Six Apart, the corporate unit behind the blog platforms TypePad and Movable Type. My observations are preliminary, but it looks awfully good to me. Unlike many directories, blogs.com has sentient beings picking the most worthy content. Evidence suggests these beings are literate, smart and funny. Though it’s a product of Six Apart, it features plenty of blogs on other platforms. God love ’em for putting users ahead of crass self-interest. The top entry of the day weaves together a bunch of blog entries with wit and smarts. If blurb is a verb, these folks blurb extremely well. Perfect? Of course not. Spend half an hour and you’ll find plenty of crap to scrape off your shoes. But the signal-to-noise is pretty high, and I find that blogs.com’s main topic pages function as daily “news” reports that cover the basics in each area but are full of wiggy surprises. Say, I wonder if I can get a blogs.com badge for my blog? 2. Application example: Open Table permits restaurant reservations across network rather than requiring people to visit their site to make reservations. Could be targeted geographically, by interest, by network activity, etc. My takeaway: People’s Facebook home pages will soon fill with [more] targeted commercial clutter [than there is currently]. What’s that I hear in the distance? Could it be a death knell?